Our instructors, Rana and Maryam, are from the Women’s Initiative for Self Empowerment (WISE). Rana Abdelhamid is the Founder & Executive Director, and a First Degree Black Belt in Shotokan Karate. Maryam Aziz is the Chief Self Defense Instructor at WISE and a Second Degree Black Belt in Goju Ryu Karatedo. They have a combined 18 years experience in teaching self defense. WISE is a self-defense, social entrepreneurship and leadership development movement for young Muslim women. They offer workshops, mentorship, and entrepreneurial resources. Our whole project started when a Self Defense Workshop organized by the Muslim Community Network went viral on Facebook following the election. 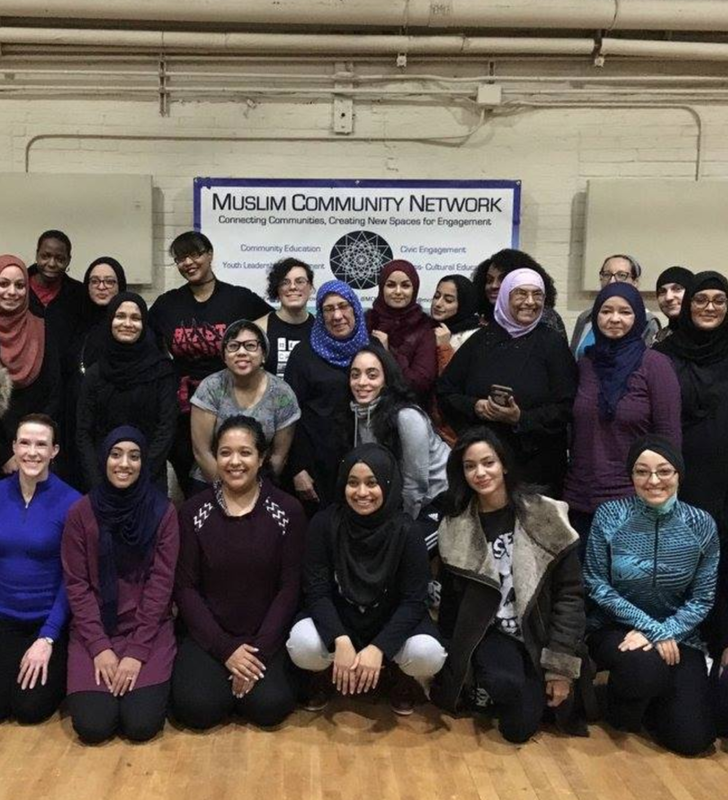 MCN empowers the diverse New York City Muslim population by connecting communities through dialogue, education, collaboration and social action. Their popular workshop happens on a reoccurring monthly basis and is open to all. The Southern Poverty Law Center is the premier U.S. non-profit organization monitoring the activities of domestic hate groups and other extremists. SPLC produces an array of anti-bias resources that they distribute, free of charge, to educators across the country. They also maintain databases of hate incidents.